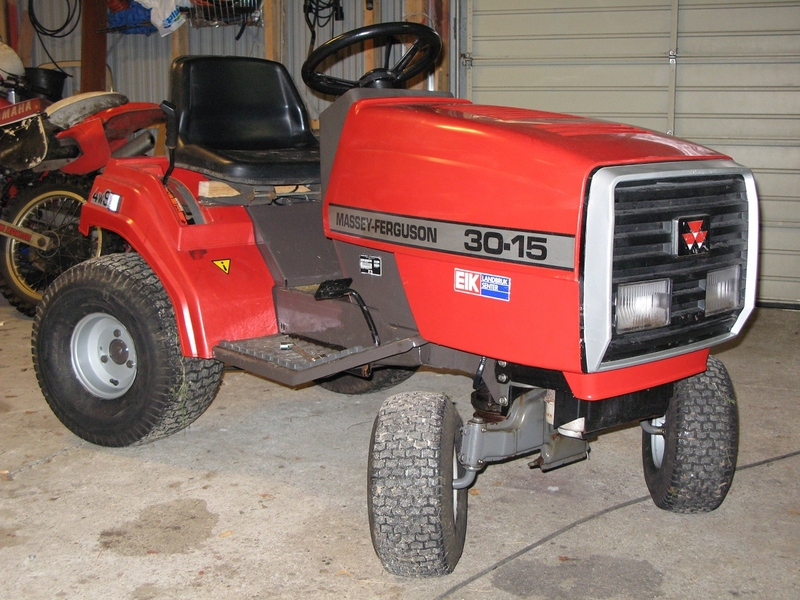 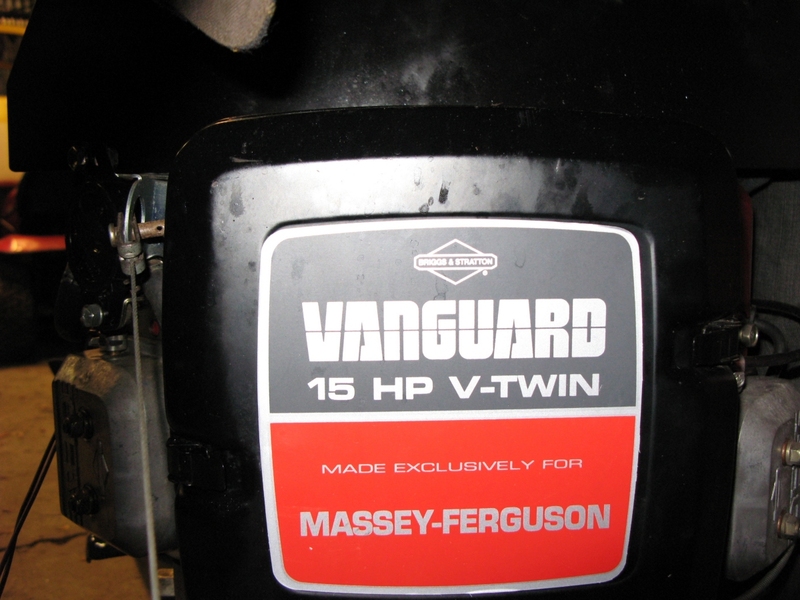 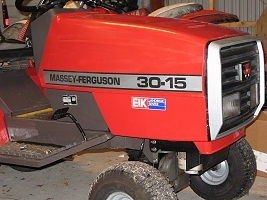 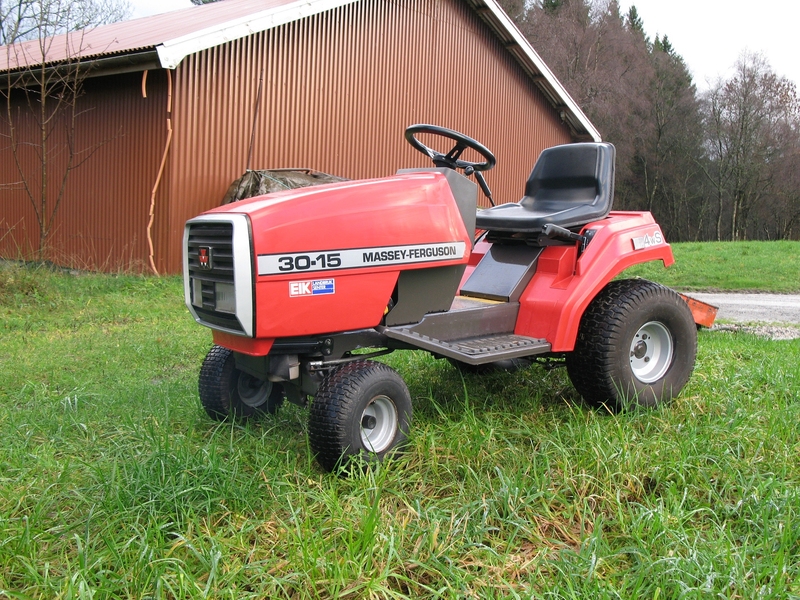 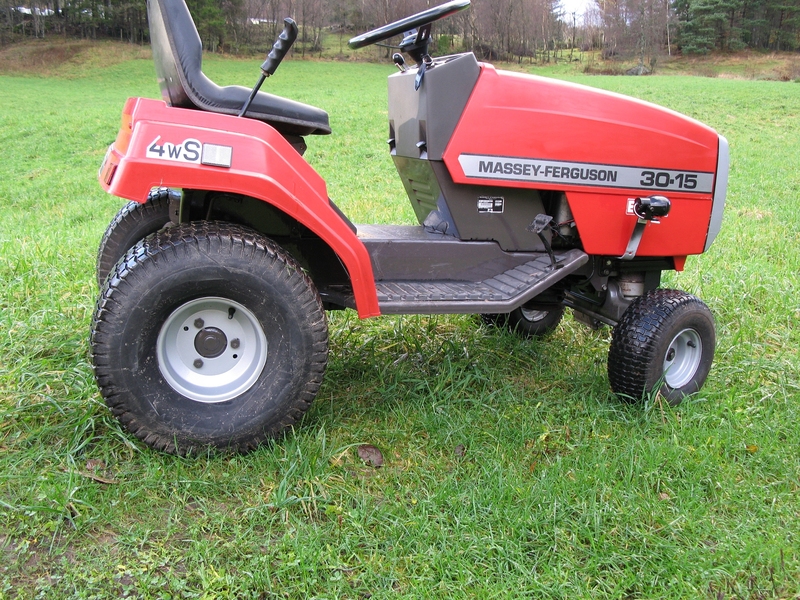 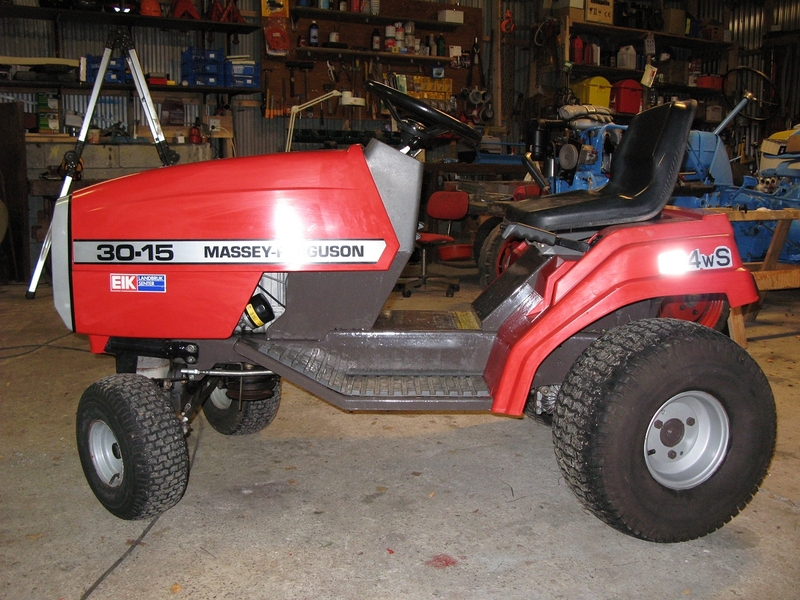 This is my Massey Ferguson 30-15 Lawn tractor, i brought it very cheap from a housing cooperative in Haugesund. 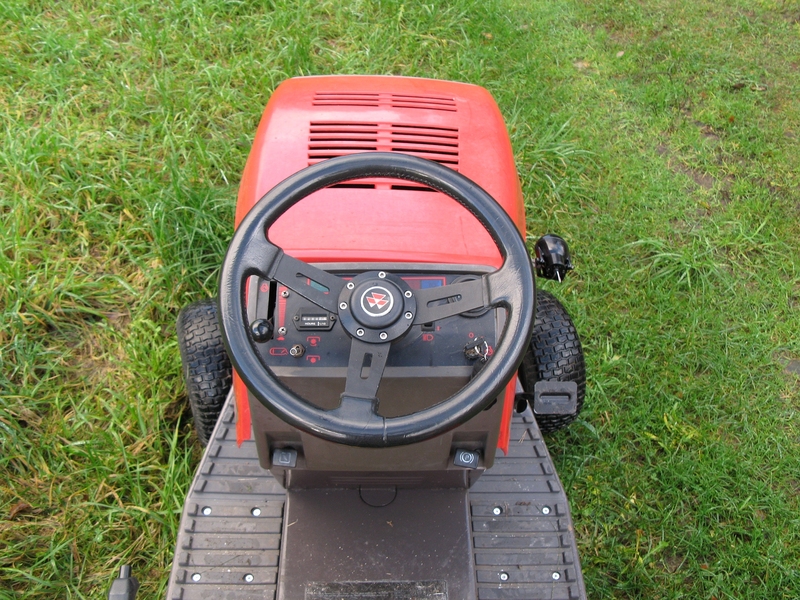 The engine was turning but that was also all. 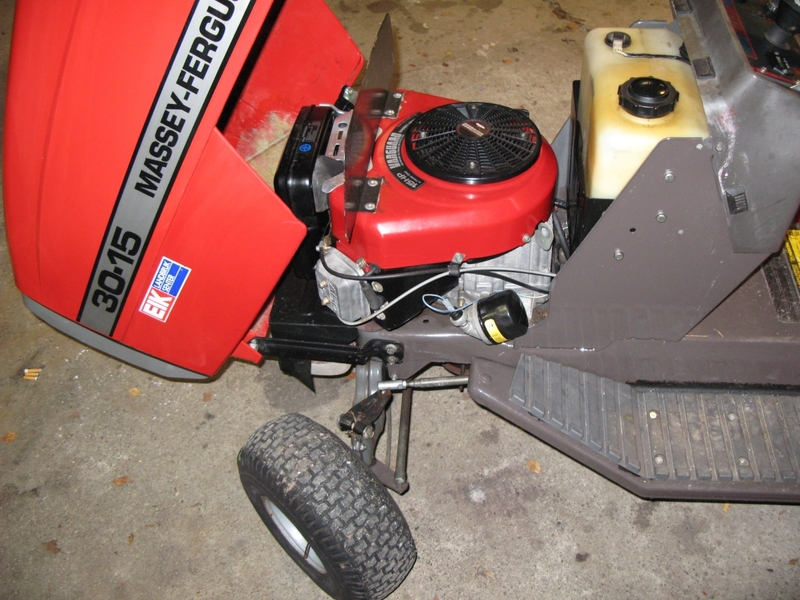 But is an simple machine so after a few hours it running. 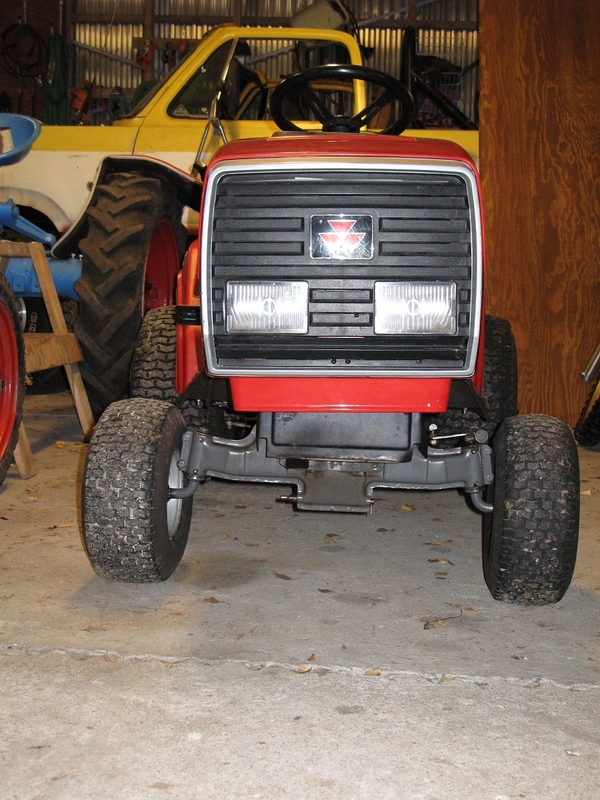 I don't know witch year it was made, but it probably from the mid 1990, making it one of my newest tractors. 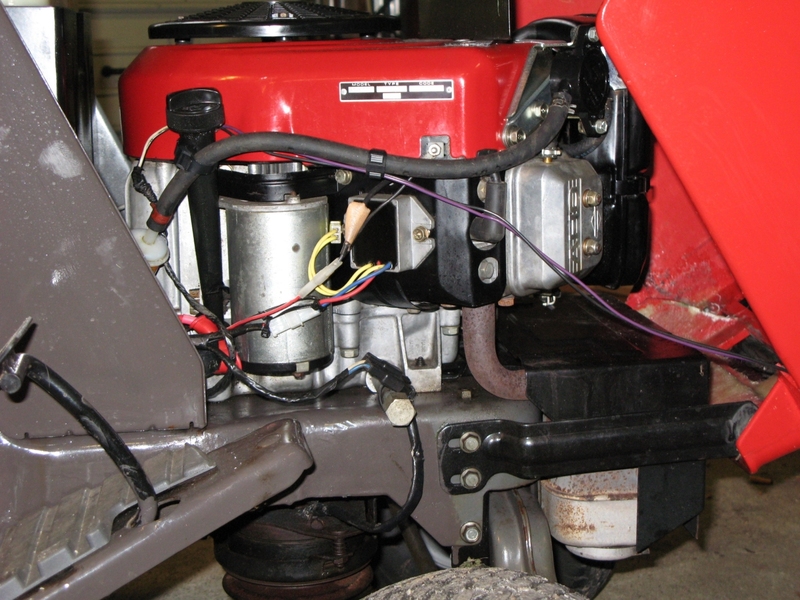 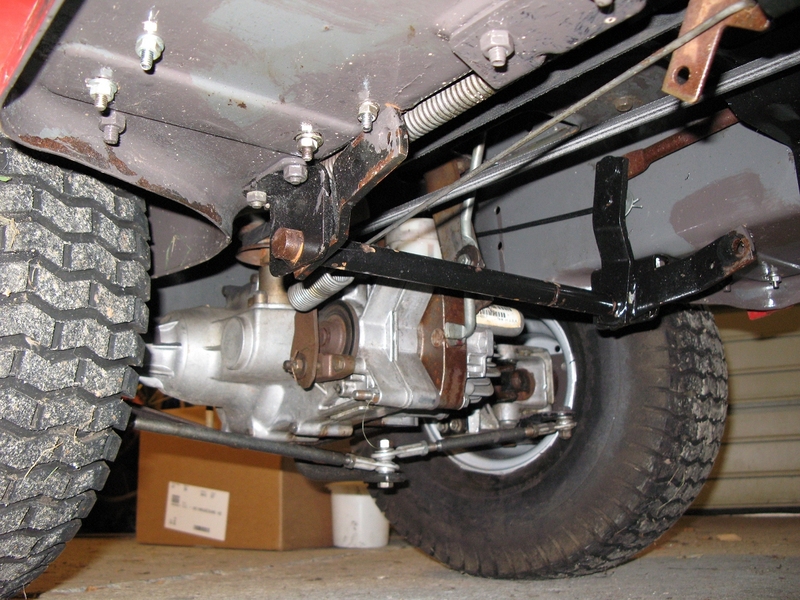 This have been done: fixing the plastic parts with fibre glass, new petrol pump, new oil & filter, new hydraulic oil on the gearbox and some paint here and there. 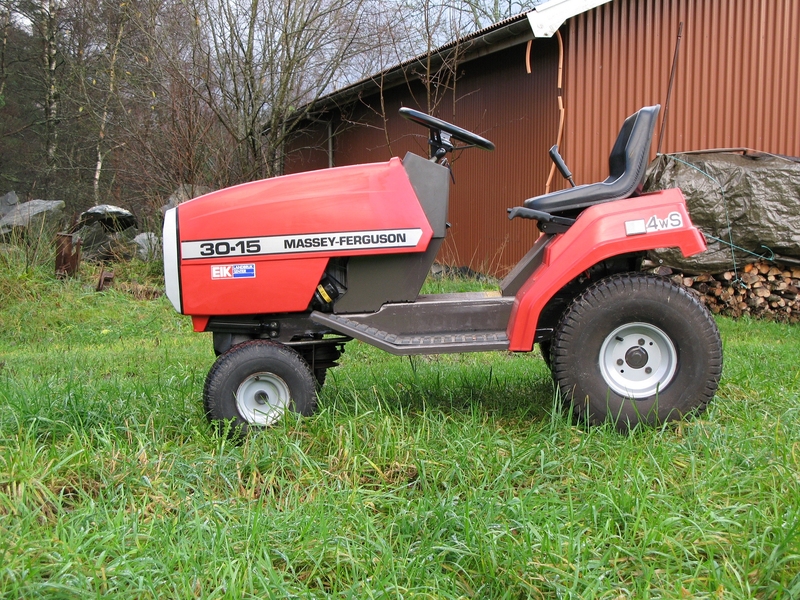 Its a two cylinder 15 hp engine with 4 wheel steering and hydraulics gearbox, very easy and nice to drive. 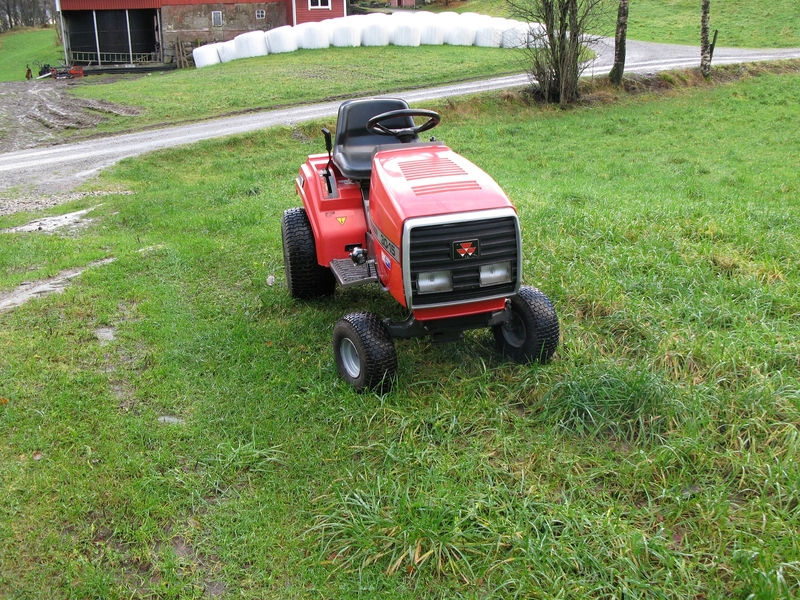 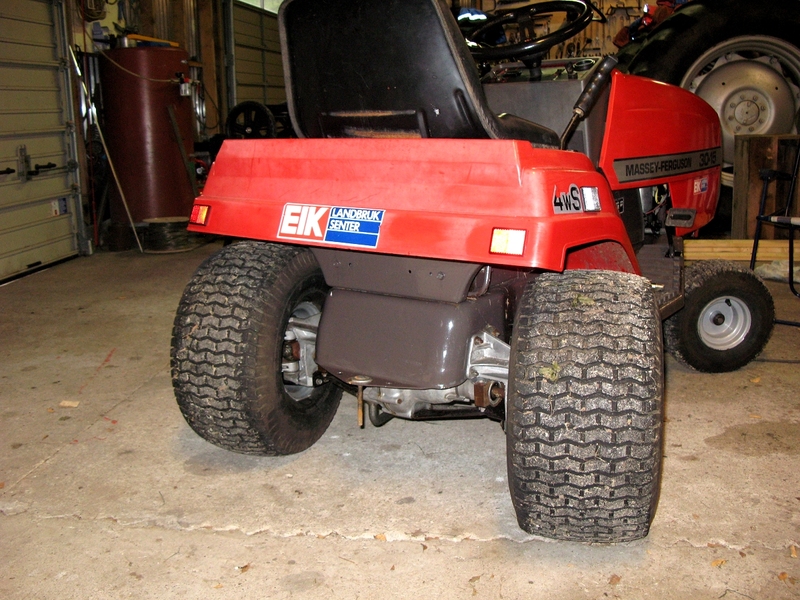 And it cuts the grass much nicer then my almost new MTD lawn tractor.